With the fast growth of cloud computing technology the necessity of data centre management has become the major focus in the technology. It is necessary for the cloud service providers spending towards the resources of energy consumption and to improve the performance of the servers at the data centres. The energy consumed by the processors in data centres alter with the workload. The workload is the number of applications running on them. On an average, the energy consumed by the data centre is equal to the energy consumed by 25,000 households. 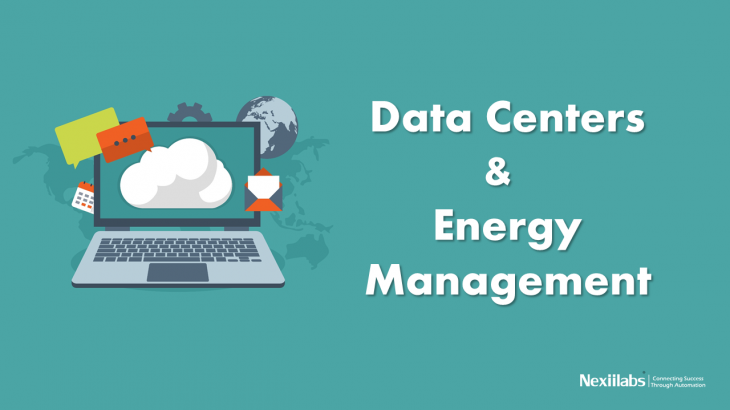 The providers of the cloud services are in constant search for optimizing energy usage levels at the data centres. This search is due to the increase in energy costs and reduction in renewable resources. The energy cost is defined by the supply of the power and cooling down the mass number of servers. The companies are practicing new ways to cool down the servers with the cool water that runs through the pipes which cools the hot air that rises from the servers. This is still an existing issue and also a challenge for the firms. It is important for the cloud service providers to know the balance on capital spent and the profit earned by the efficiency of the data centre. The necessity of conserving the environment has driven the companies to initiate a step on forming a cloud computing industry. Progressively, the companies are turning up with plans that enhance their output of their data centres which involves energy consumption. The methods followed by the cloud service providers involve the powerful virtual machines that connect to the cloud depending on the user’s application and the evolution of energy within the service level agreements. Most of the organizations practice these method. Companies need to think about the energy consumption by the data, the workload of the applications and maintain a record to enhance the system and to check the efficiency issues. Cloud computing assures a powerful and combined usage of the resources with the development of hardware and software resources. This develops an efficient usage of the servers with reduced usage of hardware and software at the data centres. Cloud Computing Cloud Computing, data center. permalink.